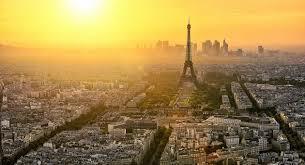 PARIS – You can’t run with the hares and hunt with the hounds, said Ernest Hemingway, referring to what he thought of book reviewers who were also fiction writers. That is why on this blog a few years ago I came up with my concept of the Not Review, which I have done periodically in the form of Not Reviews of music in my “Morning Exercise Music” listenings, in Not Reviews of films, and Not Reviews of books. The idea is I’m not criticizing, or placing myself in a high position of cultural authority, but simply reflecting on books, music or films that I have seen recently, and what they made me think, what they say, how I feel, and what you might want to know about them to see if you want to listen, read or see them. Today, I have put up my latest Not Book Review, this time of the autobiography of Mike Nesmith, the former Monkee, which is called, “Infinite Tuesday.” He also refers to it as an “autobiographical riff.” Check it out on the link above! His is a fascinating story that goes way beyond The Monkees – like, how about to creating one of the first music videos, helping to create MTV, and then there is his mother the inventor of Liquid Paper…. I have been working towards finding the best way to record sound with this DJI Osmo and so I again tried out my system of using a Zoom recorder attached to the DJI as a microphone. Without me realizing it, the connection between the two gadgets was bad, and eventually the recorder unplugged itself from the camera, as I was walking around the lakeside park. When I returned to view and listen to the video, I found great images – as usual with this fabulous little camera – but the sound was a disaster. A horrible mess. There was crackling, banging, popping and sometimes no sound at all. It went from silence to hurting the ears – moreover, the level was set too high as well, even when it worked, so it was distorted even when at its best. I decided to put the video up on this blog as a demonstration, again, of what the Osmo can do, but I would put a music recording over the original sound, so not to distract and hurt the ears of the viewers. For that, I decided to use my song, “Since You Left Me.” Then, after importing to the film editing programming, when I pressed the play button, I saw immediately an uncanny synergy between the content of the video in the park and the music of the song. The musicians playing, and the dancers dancing seemingly to the same beat as my song; the link in the lyrics between seeking out another world, another way to live, and the otherworldly link to the juggling, slack-line walking, and other circus arts; even the view up to the sky at precisely the right moment for the song. I immediately decided that I had the basis for a video for “Since You Left Me,” and that I would put in either a performance by me of the song, or do some more filming, some kind of dramatic storyline of me acting something out. So I used the performance I did of the same song at the Noctambules bar, edited it all together, and felt lucky for the serendipity, synchronicity, synergy, and luck that all seemed to combine to come up with another video for my CD, and the first with which I have used the 4k camera. PARIS – At about the same time in the fall, I had a fabulous day in a hot, Indian Summer in Paris in a park and on the Seine River shooting with a photo group that wanted to do photos of musicians, and I released my CD, Out of a Jam, online. With the photoshoot, a Paris “meet-up” that I found on Facebook, I jumped at the opportunity and it resulted in some nice photos. It felt more special with that coinciding with the release of my album, “Out of a Jam,” on all the usual online music sites, a few months after the album came out in CD format. I finally got the photos up on my personal music site, and BradSpurgeonMusic.com in a gallery. Check out the gallery and check out the album at all the usual suspects: iTunes, Spotify, Bandcamp, and who knows how many others! PARIS – Back in Paris after a long train ride from Milan, I’ve finally finished putting up on Bandcamp my CD, “Out of a Jam,” that I released this year. This is the first of what I’m planning to be many different releases for the CD on various sites – iTunes, etc. – and I really like this particular site, Bandcamp. Anyway, what is really really cool about the Bandcamp site is that it incited – no pun intended – me to use their feature to put up the lyrics of the songs too. So for the first time, I have put up the music – these are the mastered versions of the songs exactly like on the CD (my SoundCloud versions were not mastered) – as well as the lyrics, and where I feel I have some grasp of the names of the actual chords that I play, I have put up the chords too! So go check out “Out of a Jam” on bradspurgeon.bandcamp.com, if you do not already have a copy of the CD. Well, what the hell, go check it out even if you do! 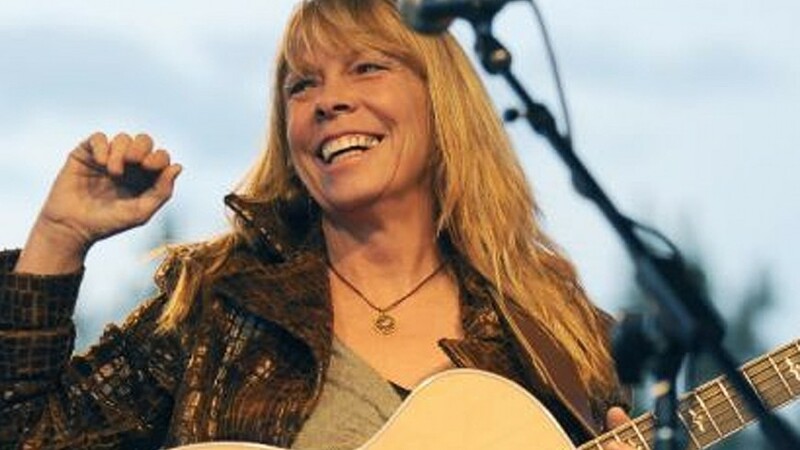 PARIS – I waited 36 years to see Rickie Lee Jones in concert, having bought her first album in 1979, when it was released, and having been hooked ever since. Last night I saw her in Paris, but I think I will still have to wait another 36 years before I get to hear her singing live. Attending a concert with virtually no sound on the vocals? Can this really happen? I don’t know. I do know that most open mics I attend every week in dive bars have better sound than what I “heard” at the Bouffes du Nord theater in Paris last night…. As soon as I noticed last week that she was playing at this old theater, a 7-minute walk down the street from my place in Paris, I bought the most expensive tickets in the house, two of them, one for me, one for my girlfriend. We’re both fans. I was a little too late to get seats on the floor, but as the seats in the “corbeille” were the same price as those on the floor – i.e., 51 euros each, or 102 in total – I decided that was probably just as good as the tickets for floor seats. I think I was wrong. It was the first time I have gone to a show at the Bouffes du Nord, and I can say that this is one impressive theater in middle of Paris’s rough neighborhood of La Chapelle. You enter a nondescript building and find yourself facing what looks like a lost, inner theater that might have been built at the time of the Roman Coliseum. You then enter the theater itself and find what seems was built as much as an indoor circus as a theater to stage drama. It is all bricks, wood, has a fabulous open proscenium arch with a full view of the empty stage behind, a massive floor area extension of the stage (i.e., which is floor-level), and several balconies of seating in the round. We sat on the first level of seating above the floor – to me it is a kind of balcony, but the theater calls it a corbeille, or basket. As we sat down, we were absolutely delighted to be above the stage, slightly stage-left. The view of the band, and of the central microphone where Rickie would sing was just perfect. I was sure we were better off there than on the floor…. My first disappointment came when someone entered the floor just before the concert and announced that we were not allowed to take photos or videos. I couldn’t get anything on the blog, I thought. But at least it would mean I could just thoroughly enjoy the show. Wrong. I now suspect the reason they said we could not take videos is because they were embarrassed by what they knew would follow: No vocals mic, no monitor for Rickie, or a guitar through the vocal monitor, or feedback through the vocal monitor, or no rhythm guitar through the monitor, or no vocals through the main speakers, or no rhythm guitar through the main speakers, and lots and lots and lots of desperate requests from Rickie Lee Jones to the “sound engineer” to please do something to get it all right! Yes, readers of this blog will know that I have a mountain of worldwide experience playing in and even occasionally organizing, open mics in rowdy, lowd, crappy dive bars all over the world. Readers will also know that I rarely make complaints about the sound systems in said bars. In fact, I rarely have complaints to make, since most of the time a friendly and responsible organizer of an open mic will do his or her best to make sure that we can hear the vocals and instruments. Last night, the Bouffes du Nord pretty much never got the sound right, with the exception of when Rickie went to the piano and sang and played from there. Suddenly, some eight or so songs into the show, she seemed to be able get right into the music, and so could we. In fact, the best thing I take away from the concert is the knowledge of just how professional she is, how fabulous her voice remains at 60 years old, and how cool her personality is on stage. Having to deal with a venue that cannot get the sound right on one of the finest pop music vocalists of the last 36 years and letting down a near capacity crowd of 500 people paying 51 euros or 41 euros, is just the most extraordinary an unbelievable thing I’ve ever seen! It seems it went on to have a fabulous and important period as the home of Peter Brook’s avant garde company, from 1974 until 2008. It is still partly a theater for drama production, and perhaps that is why the soundman was having so much trouble. I am used to not hearing guitars or vocals on loud, blaring rock bands, but not with the quiet, mostly laid back music of the band from Montreal that accompanied Rickie: There were five musicians (drummer, violin (and various strings and percussion), lead guitar, keyboards and bass) and it was all excellent accompaniment. Rickie ran through more than an hour and a half set of songs from her oldest to the latest album (“The Other Side of Desire“), just out, and she did a magisterial job, but never, ever did the sound get done right. On “Chuck E.’s In Love,” not only did we barely hear the vocals from where I was sitting, but her amazing intro on her acoustic guitar was all but lost. On “Last Chance Texaco,” the mic was just totally out of sight, so there was no sense of being able to experience the extraordinary kind of performance that we find on a few youtube recordings of this performance. Through it all, Rickie did the perfect “grin and bear it” act with smiles and non-stop efforts to get the soundman to please do his job. She did this through feedback from monitor, through the lead guitar player’s guitar coming through her monitor, through no voice through the monitor, through too much voice through the monitor. For me, at some points, from my vantage point, I felt I was ONLY hearing her voice through HER monitor … at those moments when it was stronger there. When I left the show, outside the theater I spoke to a woman who had been in the front row on the floor, just wanting to hear her reaction. She immediately expressed sympathy for Rickie, saying it was really too bad she was having problems with her monitor, but she said that from her vantage point in the front row, she could hear the vocals and all the rest throughout the performance. She was, in fact, in pretty much the same line of sight and level as the sound engineer, who stood a little behind her, so there is a possibility that the sound engineer was in fact doing the best job with the audience vocals sound – not the monitor – that he could. That would mean that the theater itself is to blame for the bad acoustics, and/or the lack of effort made at putting speakers high enough for the corbeille and balcony spectators to hear properly. 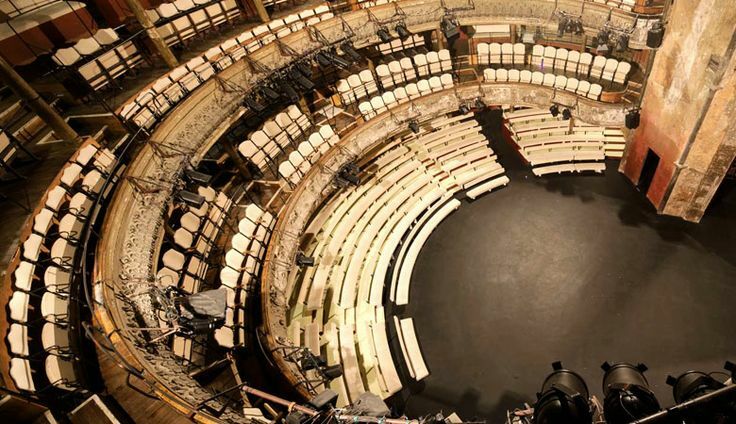 I heard, but I have not been able to confirm, that in fact, the Bouffes du Nord has only recently decided to turn into a concert venue as well as a theater. If that is the case, then clearly it needs to make some investments in creating an adequate sound system for concerts, either that or cease to charge ticket prices of a top venue rather than making it free like a local bar with its open mic. I do know that I was not the only one who felt bad for Rickie and her band. But I could nevertheless see enough through all of it, that in my wait of 36 years to see her live, I was not let down by her performance and the continuing strength of her voice – which part of the time was so strong I could hear enough of it without the mic to know it was still entirely there.